Today the outdoorsman and marksman has an outstanding array of slingshot varieties available. Any and all of them will provide you some fun. Let’s face it, we don’t shoot slingshots because they offer the best ballistic coefficient for a given projectile or can fire off 15 rounds in succession. They don’t have either. Most slingshots are the same, they all send a projectile downrange using rubber and some mechanism to hold the rubber. They all ‘shoot’ something, dependably. Every time. 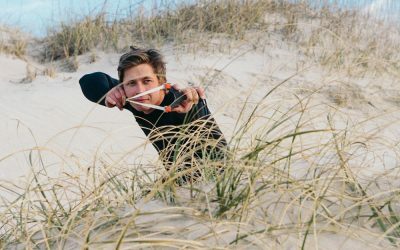 We understand that slingshots are simple things –based on simple physics – and almost always offer simple fun in return. We know that your time spent on recreation and leisure is fleeting and any opportunity to add more fun to your fun is money well spent. As such, SimpleShot offers world class tools for down-home, world class fun. 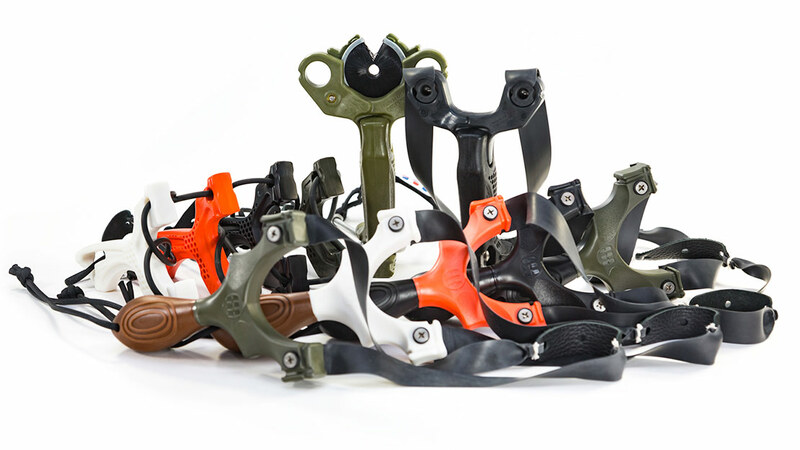 The three most popular slingshots from SimpleShot. It is generally agreed in the fluent slingshot community that any slingshot can be a world class, top of the pile, white hot tournament winner in the right hands. We agree. We also know that to be at the top of that white hot pile of awesomeness, one needs to have a solid foundation and education in Everything Slingshots. SimpleShot offers the discerning human seeking more fun in their life, world class products and stellar customer support and education for any and all things related to the slingshot lifestyle. 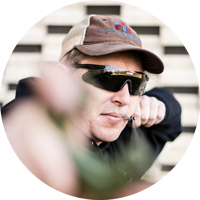 Whether it be marksmanship, craft, self reliance, or DIY fun, SimpleShot aims to please! That’s a great question Joe. We’ve had this question before and see the need to make a place for this kind of info. It’s something we really want to do and we’re looking into the best way to make it happen! Most of our models are suitable for youngsters, but we do have some frames that are small and great for young hands. The axiom champ is great for its small size but can be shot safely over the top. Believe it or not, the large palm swell on the Scout actually makes it very kid-friendly. They can hold it hammer-grip and it works great. We also see kids shooting the Axiom Ocularis with success. The Torque could be a little tough for a youngster and although small, the really small models (such as the dead ringer) are actually advanced models.